This seemed incredible and something that hasn't happened before. 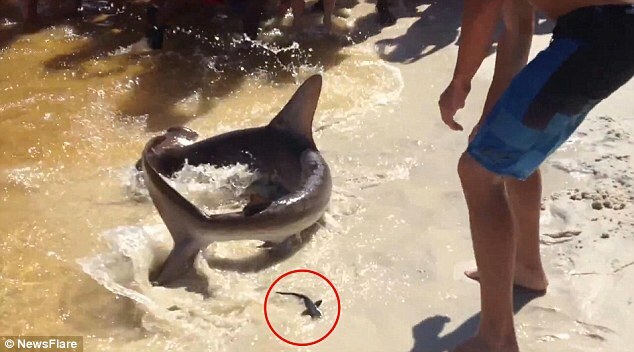 On the crowded Florida Beach, a hammerhead shark came on shore and gave birth to a litter of pups right in fornt of the onlookers and beach goers. This was rather unusual as the shark kept coming toward the shore despite being warded off to deep sea - at last a fisherman hauled her to the beach where she kept waggling and gave birth to her off springs.